Former Vice-president Atiku Abubakar has insisted that ex-president Olusegun Obasanjo wanted to pave the way for a lifetime presidency and not just a third term in office. Atiku said this in an interview with a quarterly magazine published by the Economic and Financial Crimes Commission, Zero Tolerance. The former vice-president said, initially, it was assumed that the plan was to modify the constitution so that Obasanjo could serve a third, four-year term as President. He, however, said the aspect of tenure limitation was carefully removed so that Obasanjo could be President for life. When asked why he and Obasanjo were at loggerheads towards the end of their tenure, he said, “My offence was that I disagreed with him on the amendment of the constitution to remove tenure/term limits or what was popularly called the ‘third term agenda’. Atiku said due to his disagreement with Obasanjo, the ex-president decided to tag him as a corrupt person. The former vice-president said the then Chairman of the EFCC, Mallam Nuhu Ribadu, accused him of corruption but later came to him to apologise. He said, “When he came to ask me for forgiveness, I said if you want me to forgive you, Nuhu, go to the same television stations where you said I was corrupt and say you now (have) realised that I am not corrupt. “Then he said ‘sir, you have forgiven so many people who have offended you publicly without them going to TV stations to apologise to you’ and I said, ‘your case is different because first of all, I helped to found the EFCC’. Atiku denied media reports that a United States Senate report accused him of laundering $40m in the US between 2000 and 2008. The former vice-president confirmed that he did transfer money to the US but it was not illegal. 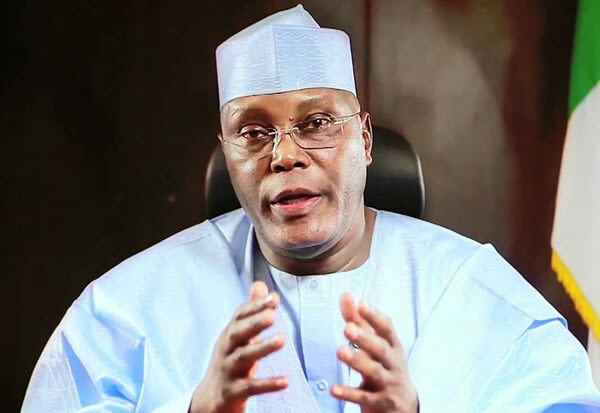 Atiku explained that the accusations emanated from his dealings with a Louisiana congressman, William Jefferson. He explained that Jefferson had approached him for a communications project but he referred the American to the minister of communications. Atiku said the US lawmaker collected $100,000 from a woman under the pretext of using it to bribe him (Atiku). The ex-vice-president said he, however, rejected the money which he described as too little for a man of his status. He said the Federal Bureau of Investigation subsequently searched his wife’s US home but nothing incriminating was found. Atiku said, “Apparently, I didn’t know he (Jefferson) had duped a lady and collected marked money from her in my name. Unknown to him, the FBI were on his trail. But, of course, there was no way he could give me money because what was $100,000 to me?